Where’s the line to see Wonder Woman? Linda Carter or Gal Gadot? Amazing, isn’t it? This has to be the best WonderRificCon ever! Totally. Linda Carter was like the first Wonder Woman, right? Many actresses have played Wonder Woman. Lucy Lawless has been her too. The chick who played Xena Warrior Princess? Wow, she gets all the cool parts. So, which line is this? Old or new Wonder Woman? Don’t call Linda Carter old. That’s not polite. How about spinning Wonder Woman or sword Wonder Woman? Better. What was the question again? Oh, thats right. You asked which line is this? It’s to meet both. I bought the super deluxe wonder pack. I get to meet them both, get their autographs and get a picture with them. It wasn’t cheap. Quite expensive actually. That must be why I’m the only one in the line. No, not at all, I’ve been saving for this ever since I found out. I gave up my cable and my smartphone. And cut back on eating out. Well, I cut out most food in general. Ramen noodles are good and cheap. I found all kinds of way to cook them. All the sacrifices are worth it. This is a once in a lifetime opportunity. They’re my heroes. Wonder Woman isn’t real, you know? I’ve been waiting here for two days. I’m first in line too! It must be a pretty expensive line if you’re the only one. It shows I’m the most dedicated fan of all. I’m their biggest fan! Isn’t that a quote from a horror movie? You have nothing to fear. 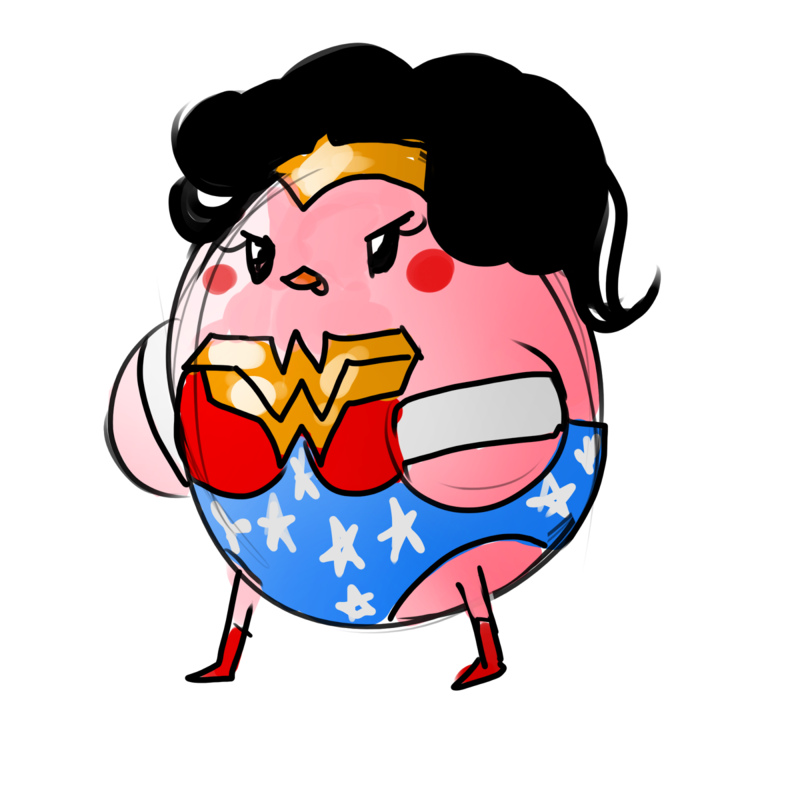 Wonder Woman is here. In the building somewhere. Two of them actually. I wonder what’s going on? It seems like hardly anyone is here now. I think everyone went to the other building for something. There’s another building at the convention center? I came over here because I hate crowds. They told me this was line. Do you think they told me the wrong place? She sounded like she thought she was important. I think she said her name was Ashley. Her clothes were very sparkly. That’s our state beauty queen pageant winner Ashley Addams. Miss Walla Walla Washington. She thinks she going to be the next Miss America. Doing a comic book store promo for her cousin or something as a favor. My theory is that she has to do community service for some crime she’s committed. Please tell me she told me the right place to go. Judging by the way she is pointing over here at you and laughing with her friends… maybe not. This is terrible! Why would she do this to me? Because she’s a jerk. She thinks she’s better than everyone else and tries to make sure us pee-ons know it. What am I going to do? What if I missed it? I’m going to be last in line! Last call for fans waiting to see Gal Gadot in building C, floor 12. With 12 floors! I’m going to miss them! Not if I have anything to do with it. Come on! Helping you see Wonder Woman! Here I come to save the day! Randy is on the way! And when we’re done, we’ll come back and tell everyone about Ashley’s life of crime. How about that Miss Community Service? !